Don't have a SafeZone Pass ? for your Special Welcome message. Your SafeZone Pass includes a unique PerNum, a personal number that protects your privacy. Instead of sharing your name, your email address, your phone number, or even your credit card details, you simply share your PerNum, while your personal data is safe on our military-grade encrypted and protected SafeZone servers. 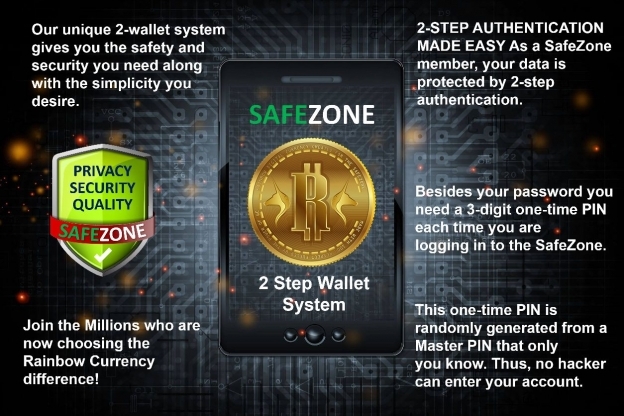 PERNUM is the official wallet provider for The SafeZone. You can earn FREE crypto currency - Rainbow Currency (YEM) just for your activity like playing games, participating in contests and visiting partner sites within the Unicorn Network. Your FREE YEM (Your Everyday Money) can be used for shopping at all participating sites wihin the SafeZone. YEM can also be traded for Twnkl Estate Coin (TEC), Twnkl Vacation Coin (TVC), Twnkl Mobility Coin (TMC) and other coins/tokens on the TwnklChain.